Everything You Could Ask For, And MORE! There’s nothing to tie, nothing to snap, & no fuss. Best of all, there’s nothing to wash! That makes your life go Smooth! In fact, they’re so lightweight and comfortable, children ( & adults ), often forget they’re even wearing a bib! And, you won’t find another bib this easy to travel with! PLUS, It's the perfect travel partner! 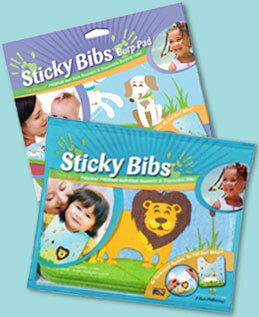 Re-sealable package makes it easy for on the go Moms and Dads.